Professor Sir Walter Bodmer has led the Cancer and Immunogenetics Laboratory at the WIMM since 1996 with major interests in (i) the fundamental genetics and biology of colorectal cancer and their potential applications, and ii) the characterization and population distribution of genetic diversity in human populations. His laboratory’s major cancer interest is in the identification and functional analysis of cancer stem cells using colorectal cancer derived cell lines as a model, and using enriched cancer stem cells for preclinical investigation of novel drug responses. 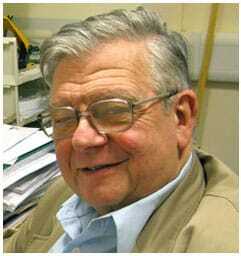 Sir Walter has a BA(1956) in mathematics and did his Ph.D.(1959) in population genetics under Sir Ronald Fisher at Cambridge University. He did post- doctoral work in molecular biology under Joshua Lederberg at Stanford and then was on the faculty of the Genetics Department in the Stanford University Medical School from 1962 until 1970, ending up as a Full Professor. He returned to England in 1970 to become Professor of Genetics at Oxford University, and then in 1979 became Director of Research, and later(1991) Director General, of the Imperial Cancer Research Fund. He was Principal of Hertford College Oxford from 1996-2005. Sir Walter became a Fellow of the Royal Society in 1974, a Foreign Member of the US National Academy of Sciences in 1981 and was Knighted in 1986 for his contributions to science.